Good Shepherd tapestry shows Christ in the role of the shepherd. Christ herding sheep is a symbol of the protection and leadership by kindness of Christ Jesus. Here we see Christ in the fields of grasses and a river in dusk light with his sheep. 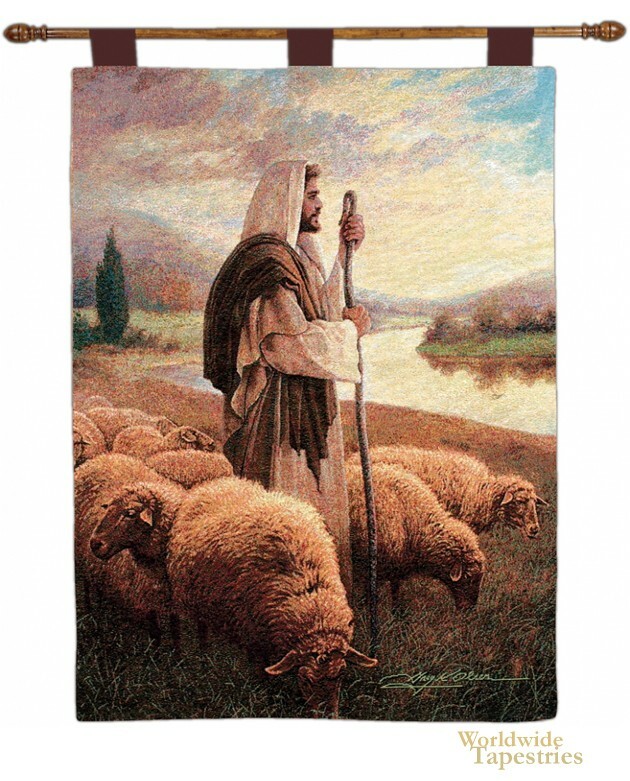 This inspirational Christian tapestry is backed with a lining and a tunnel for easy hanging. Note: tapestry rods and tassels, where pictured, are not included in the price.